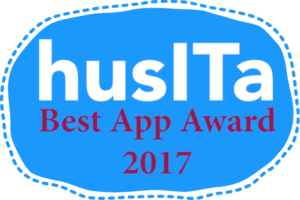 husITa is proud to announce the Best Human Services Application Award 2017. This award is designed to encourage and support the development of innovative and effective human service applications. We have decided to make the award an annual event with a different app award each year: one year the award will be for the best human services app; the next for the best idea for a human services app. This year we are inviting nominations for the best human services app. This award recognizes outstanding software applications that supports husITa’s mission to promote the ethical and effective use of information technology to better serve humanity. Up to 5 nominations can be submitted by the same individual. The online submission form should contain no more than 1,000 words that address the award criteria below. These criteria reflect questions in the nomination form. We recommend drafting responses to each of the criteria (paying attention to the word limit) prior to completing the online form. Nominations will be accepted from any country in the world and the app does not need to use the English language. However, the nomination form must be completed in English. Please note that information submitted in the app nomination form will be kept confidential: husITa only requires permission to publicize the recipients of the award, their contact information and a brief description of the app, along with a picture or video from the award winners and runners up. A judging panel consisting of husITa Board members and app developers will vote for the best app. Nominations will be judged using the following criteria (these criteria reflect questions in the nomination form). Purpose: The purpose of the app is relevant to the advancement of ethical and effective human service practice (50 words max). User value: The benefits of the app to end users are clear (250 words max). Effectiveness: There is evidence of the efficacy of the app (e.g. previous awards, expert testimony, effectiveness research, or feedback from users) (250 words max). Sustainability: Consideration has been given to steps that will ensure the app will continue to evolve as technology and human service solutions evolve (250 words max). Users: The app is in use by a substantial number of end users. Financial support: Existing sources of financial support (where applicable) have been identified (100 words). How the award will be used: Innovative ideas about how the $1,000 prize would be used to further the impact of the app are included (100 words). An award of US$1,000 will be made to the overall winner along with an eCertificate and an icon to display on their website. Runners up, in second and third place, will receive a eCertificate and an icon to display on their web site. Please submit your nominations using the form below by midnight on Friday 5th May 2017. Winners will be contacted by email on Wednesday 31st of May 2017 and announced on this website shortly afterwards. If you have any questions about the Best App Award please use our contact form. View previous best app award winners.